"Kurdish leaders believe that Israel can be their best lobby in the West for the project of a Kurdish state," Ofra Bengio, an expert on the Kurds, wrote for the American Interest. The Israelis are also rumored to have provided weapons and training to the KRG. In addition, Israel helped the KRG by purchasing Kurdish oil in 2015 at a time when Baghdad threatened to sue anyone, who would trade with the Kurds. Security concerns should also be taken into account. After all, Israel's neighbors are not the biggest fans of the Jewish state. "The tectonic changes that have taken place in Iraq and Syria, and Kurdish feats on the battleground, have proven that the Kurds are a formidable barrier against dangerous anti-Israeli forces emanating from both Sunni and Shi'a Islamist radicals," the analyst observed. Interestingly, the Kurds want to keep the relations with Israel afloat, yet they don't want to make it public. For its part, Israel does not make a secret of the fact that it is supporting the Kurdish cause. The Minister of Justice of the Jewish State, Ayelet Shaked, has come out flat for creation of a Kurdish state that is to weaken Iran and Turkey. 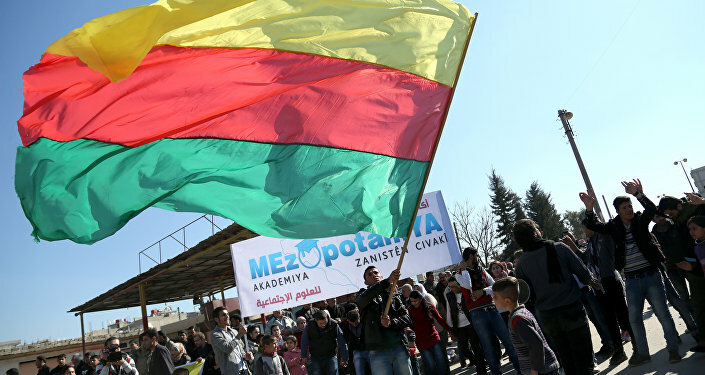 Kurdish Federalism in Syria: Self-Determination or Kerry's Plan B? "We must openly call for the establishment of a Kurdish state that separates Iran from Turkey, one which will be friendly towards Israel," Israeli Justice Minister Ayelet Shaked said in late January. She also called the Kurds "a partner for the Israeli people." "Being a state in embryo surrounded by Arab and Muslim countries makes the KRG very cautious about publicizing anything that has to do with Israel," the analyst explained. "This is especially true at this critical time, when it is looking for regional support for its project of establishing a Kurdish state, or short of that trying to preempt negative reactions to it."